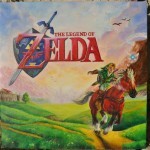 One of these days, if I ever get the money, I would love to finish my basement and turn it into gaming space filled with all my gaming consoles, perhaps some arcade cabinets and amazing gaming related art work like this beautiful Legend of Zelda Breath of the Wild oil canvas. Of course I might need to hit the lottery first to make my dreams come true but if I ever do, you can bet that is exactly what I hope to do with my basement! 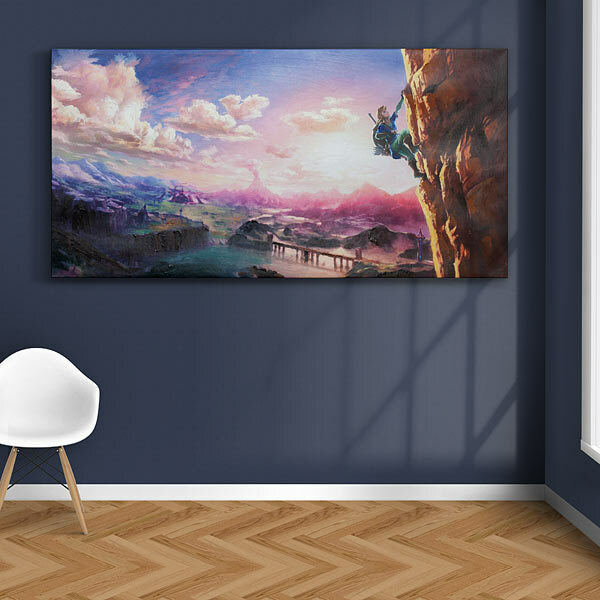 Speaking of decorating the walls of your gaming area or perhaps just your bedroom, the amazing people over at ThinkGeek are selling this beautiful Legend of Zelda: Breath of the Wild oil canvas for $249.99. 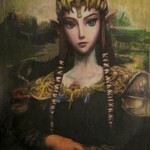 This beautiful work of art measures 30″ x 60″ and would look amazing on the walls of any Zelda fan’s home! There are a couple of caveats to be aware of in that there is a limit of 2 when ordering one of these amazing Breath of the Wild oil canvases and due to its size, it only ships to the lower 48 states. But if those aren’t an issue for you, then you should be good to go! This Breath of the Wild oil canvas is a limited edition of 600 (numbered in the corner) so if you want one, you better jump on this before they are all gone! 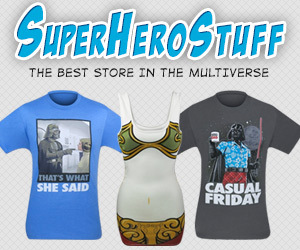 Oh, and if you are one who cares about such things, this is an officially licensed product. 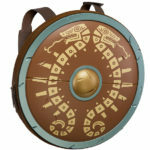 If you are a big fan of Nintendo’s incredible Legend of Zelda: Breath of the Wild game or know someone who is that you happen to be looking for a gift for, then look no further than this incredible decoration! 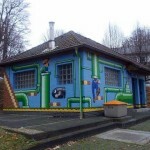 Share this with any Legend of Zelda fans you know! 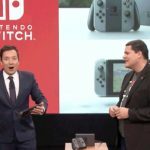 Don’t forget to like Global Geek News on Facebook and follow GGN on Twitter too!